The dive team of Scuba Hurghada teaches PADI dive courses at all levels with pleasure, from Scuba Diver to Dive Master. 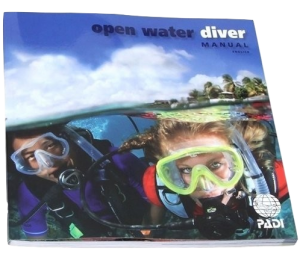 It doesn't matter whether you just want to start diving or are planning to become a professional diver. 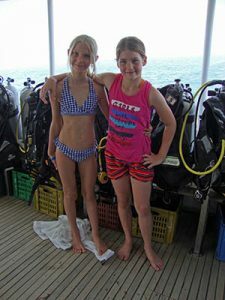 Wondering what to do with the kids while you’re diving?? Turn them over to our professional dive team and we’ll make them into your future dive buddies! We offer a wide range of educational entertainment for our younger guests. 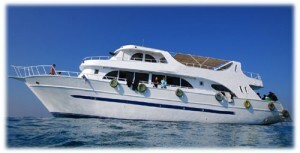 For our daily scuba diving and snorkeling trips, we use our beautiful 24 meter long yacht! Our boat provides our guests with lots of space to move around the boat and enjoy all its facilities (equipment area, salon, shower and toilets, sun deck and shaded upper deck). BOOK ONLINE AND GET THE BEST PRICES!! Our dive team of PADI instructors speaks fluent English, Dutch, German and Arabic. If you’re looking for safe diving, snorkelling and lots of fun: you have found the right place! Contact us now and we will look forward to meeting you in a sunny Hurghada! Not yet convinced, check out how a tipical day looks like!